Lisa Scott has been working at Luther since 2017. Interim Dean for Institutional Equity and Inclusion Lisa Scott has been appointed as the first Vice President for Equity, Inclusion, and Student Success at Luther. She will start her role June 1. Scott has served as Dean at Luther since 2017. 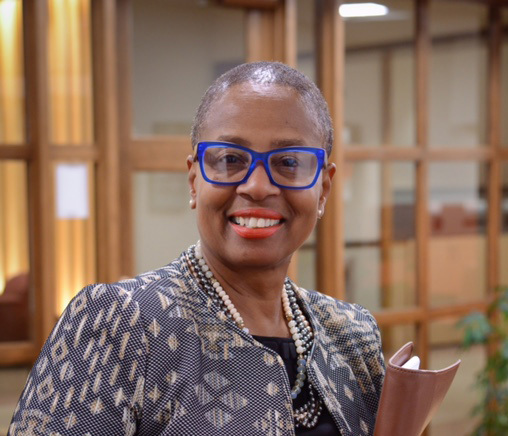 According to a statement by President Paula Carlson in an email announcement of Scott’s new position sent March 18, Scott’s new role is the re-visioning of her current position as the Dean for Institutional Equity and Inclusion. She will continue to be a senior administrative leader and a key voice on diversity, equity, and inclusion issues. Scott will work with different people and departments across campus to ensure student success in all college life. Carlson highlighted the importance of Scott’s new position in connection with other changes going on on campus. Lisa Scott helps set up an activity during the Catalyze program recruitment. 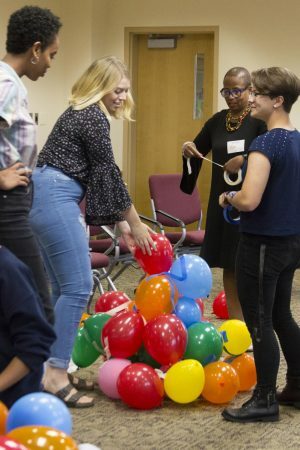 “With the launch of the new strategic plan this year, I worked with the Board of Regents to create the new position of Vice President for Equity, Inclusion and Student Success to support our vision for a comprehensive student experience that develops students who are inspired, empowered and engaged to thrive, serve and lead in an ever-changing world,” Carlson said. Under Scott’s term as Dean, the Luther College Diversity Center changed its name to the Center for Intercultural Engagement and Student Success, to better reflect the objective of student engagement. Scott also served as a core member in organizing the 50th anniversary of Luther’s Black Student Union during the 2018-19 academic year. According to Board of Regents member Pete Espinosa (‘81), the Board and Carlson felt confident making her a Vice President because of all the work she has put in during her time as Interim Dean. In the email announcement, Scott expressed her eagerness to do more in her new position. She hopes to build on the foundations the college has been laying out in striving for inclusive excellence. In the same email, Carlson expressed her excitement for Scott’s new position. According to Espinosa, the new job will also allow Scott to have a bigger impact on campus. 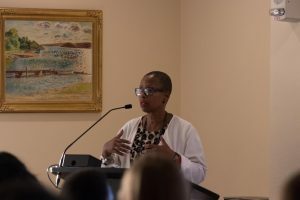 Lisa Scott addresses students at the Women of Color dinner in 2018. Black Student Union President Asha Aden (‘20) is grateful for Scott’s presence and work at Luther. Coordinator of Diversity Recruitment Josue Silva (‘16) works closely with Scott, and is also excited about the potential new job offers.